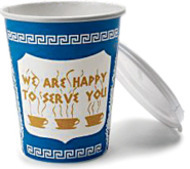 Chances are, you’ve known this emblematic coffee cup and drunk from it. And chances are, you’ve put little thought to how it actually came to be. Read about Leslie Buck and his delicious little invention here.